Why buy carpet from Motor City Carpet? Easy: with Motor City Carpet and Flooring, you know you’re among your neighbors and friends all looking to be sure we give you the best service possible! We are a locally-owned and family oriented business that cares about its customers. We’ll give you one-on-one advice with a smile that you simply won’t receive from the other companies. Still not sold? Come into our Royal Oak or Rochester Hills locations and see for yourself, we’re excited to meet you! Each room in your home has its own function and atmosphere. 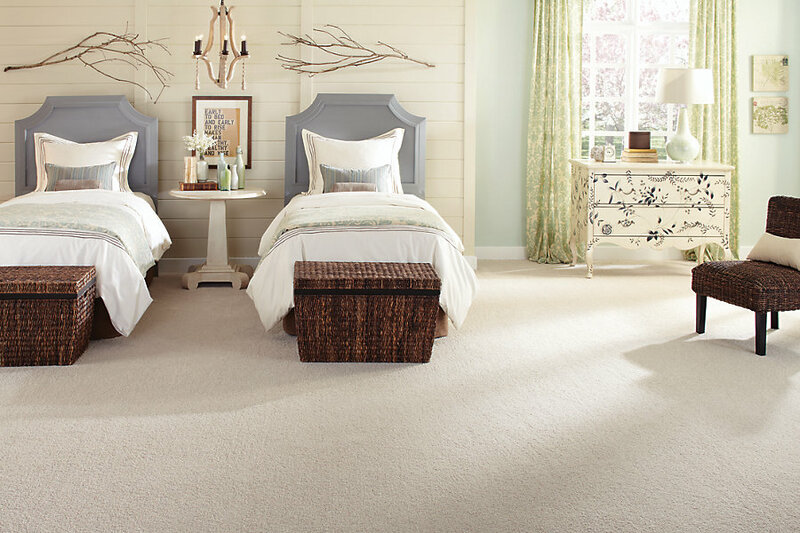 Carpet is a great choice for any room that you want to feel inviting and comfortable. With our great variety of styles, there’s something for every taste you might want! 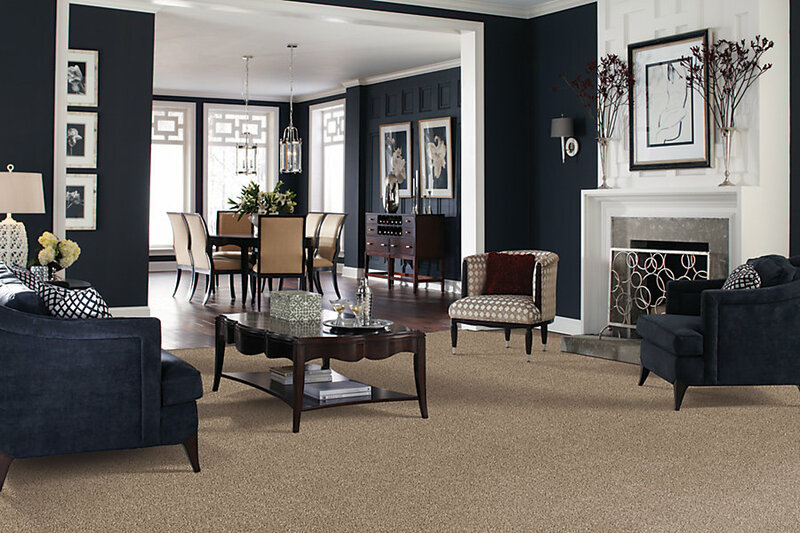 Looking for an elegant, plush carpet for the living room you spent months designing? We’ve got you covered! Want a carpet that yells for kids to come plop down and play on? We’ve got that too! In general, carpet is great for bedrooms and living rooms, where you want a nice comfortable surface that softens and quiets steps and removes any echos that can make a house feel cold or unwelcoming. Carpeting also keeps your feet warmer on those rough Michigan winter mornings. 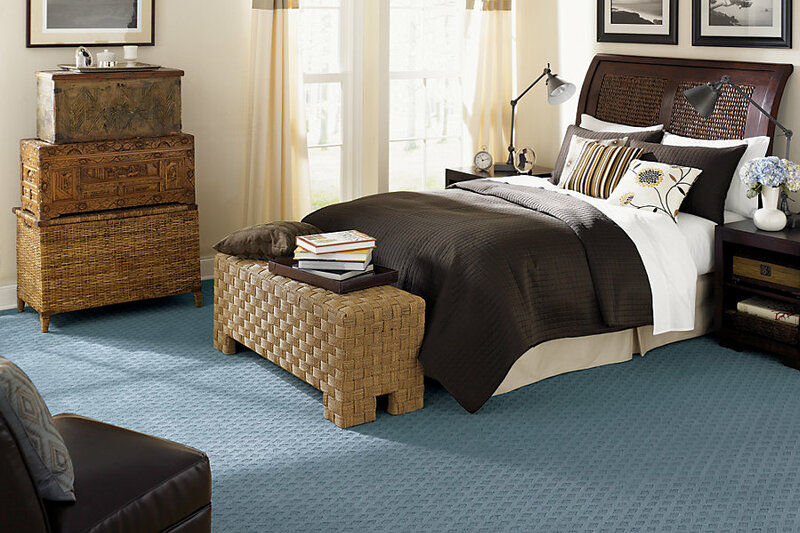 With unpredictable winters like ours, it’s nice to always know you’ll be stepping on soft, quality carpet when you wake up. While it may seem counter-intuitive, carpet can also be good for those with allergies, trapping the dust and other particles on its surface, rather than keeping them floating in the air. With regular vacuuming, your sinuses will be thankful you added carpet to your home! 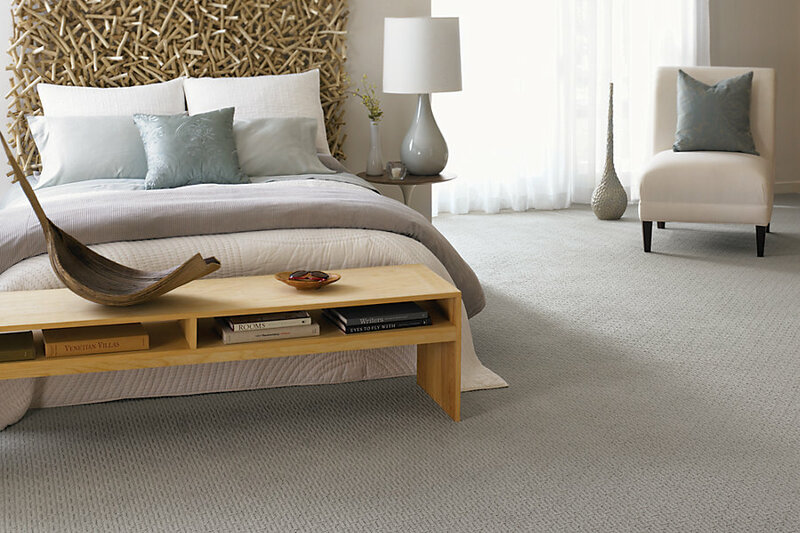 For ultimate comfort, talk to our professionals about the right carpet padding for your home to make each step count. When you think of carpet, chances are your immediate thought is the saxony style. It is made from evenly-cut yarn sewn together very densely, giving it a soft, plush feeling. This style offers extreme comfort, and often holds the shape of your foot, hand, furniture, the vacuum, or anything else pressed into it. For this reason, it may be best for areas like the bedroom or a more formal living-room, where there’s less foot traffic. This carpet is a series of looped fabric all at the same height, giving it a braided or abstract appearance. Often best for high-traffic areas in the home, the level loop-pile is incredibly durable. Similar to the above, this carpet is also made out of looped fabric, however instead of all rising to the same height, it has various levels. This variation allows for different designs. Much like the level loop-pile, it’s very durable. This carpet is just as it sounds--the varying loops and cut carpet allows for different patterns to form along the carpet. With different color yarns, you may see different geometric shapes, lines, dots, or even animal print! 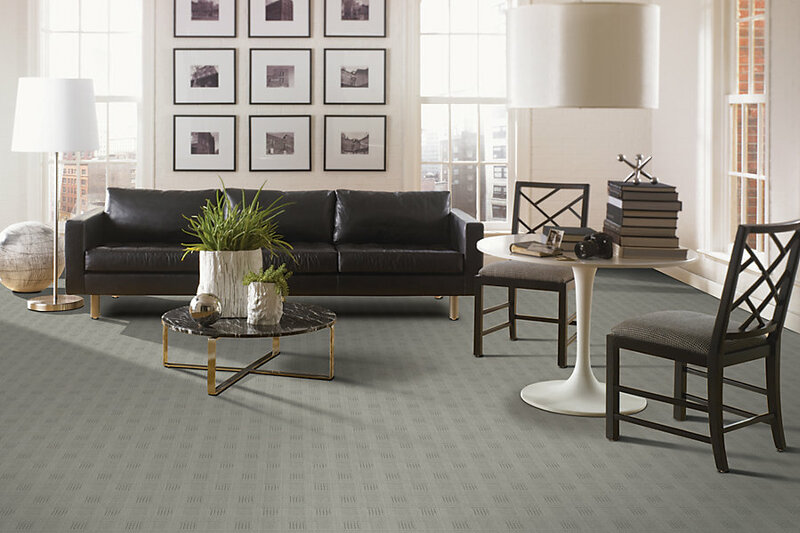 The possibilities are endless with the pattern carpet, which can add a nice personality to the room of your choosing. 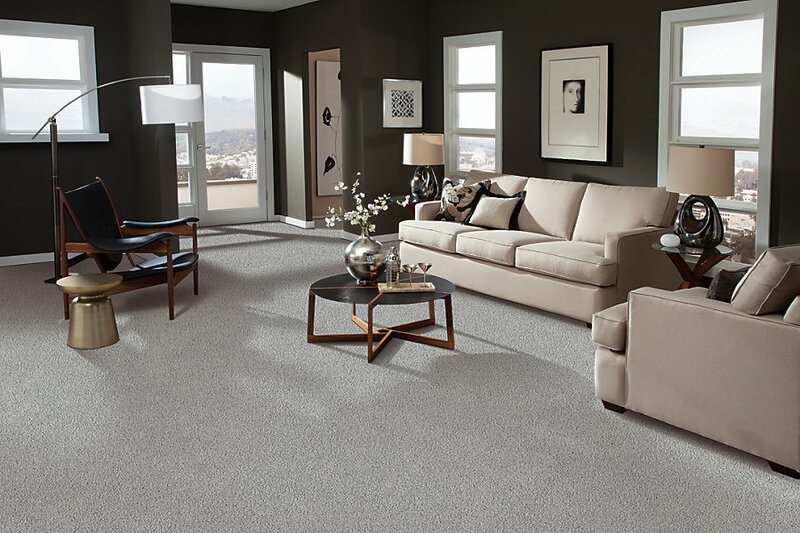 Frieze carpet is twisted carpet, looking similar to the ever-popular shag carpeting, but with less of the hassle. The close-together curls offer structural support and a thick, comfortable place to rest. Due to the twisted design, this style of carpet hides imperfections and footprints well. It is a bit more casual than some of our firmer carpets, and may be best suited for in a bedroom or family room. When you’re trying to find the best carpet for your home, where better to look than actually inside your house? At Motor City Carpet, we understand how frustrating it can be to go into a large warehouse, trying to find the right carpet while juggling photographs of your different rooms, couch colors, curtains, and paint splotches. That’s why, when you shop with us, we have the carpet samples brought right to you at home! Our professional flooring consultants will bring their mobile showroom right to your door and help you pick the perfect carpet, hardwood, tile, or vinyl to complement your decor. We will work around your schedule. You pick the time, and we bring the samples! If you find the right carpet with us, fantastic! We offer next-day installation for most cases, and would be thrilled to help get your home looking just like you want it! Does having our crew come to your home sound like too much and instead you would rather come in and look at our samples beforehand? Or you’re comparing our carpets to another company, and can’t quite decide? You’re in luck, we have two welcoming showrooms in our Royal Oak and Rochester Hills locations. Feel free to drop in and take a look around. Just to make things easier, we offer free estimates too! So you can set up an appointment and have our professionals take measurements for you to be sure everything is perfect. Motor City Carpet & Flooring believes that the best place to make decisions about the flooring in your home is in your home. When you want to see how a carpet sample looks with your paint, curtains or furniture there is no better way than to have the carpet samples brought to your home. Our professional flooring consultants will bring their mobile showroom right to your door and help you pick the perfect flooring products to complement your decor. We carry all of the top brands in carpet, but because we do not have to maintain large retail showrooms, we can afford to pass substantial savings on to our customers. STARTING FROM 69¢ A SQ. FT.